Ramming Mass is widely used in the domain of Induction Furnaces as lining Material. 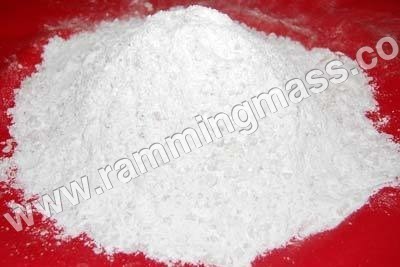 Ramming mass is available with homogeneous mixing of Boric Acid with high quality melting material. This is highly effective in providing excellent Ramming Operations and functions with its high level of purity and quality. This is processed using no chemicals and other materials to provide the clients with the best operations. This is developed under the strict guidance of experts as per the quality norms to ensure to provide the quality solutions to the diverse sectors. With high quality, purity and affordability, this is available to offer the high performance to the clients in different applications. Good sintering with tapping temperature and composition of various grain sizes make the array ideal for diverse industries. There are no moisture content and foreign particles in the material ensuring high purity.